Dubai, UAE – At Arab Health 2015, Royal Philips (NYSE: PHG, AEX: PHIA) is showcasing its commitment to HealthTech by delivering connected healthcare innovations that support the entire health continuum. Philips is bringing together its clinical breadth and depth of expertise, technology and services, actionable data, consultative new business models and partnerships, as well as its deep consumer understanding to deliver connected healthcare to the Middle East. Philips is sharing its vision of how the professional healthcare and consumer markets are converging into a single health continuum, enabled by connected health technology. This continuum starts with a focus on healthy living and prevention, which empowers consumers to take control over their own health. Next, the continuum includes definitive diagnostics and minimally invasive treatments, of which the quality and cost are optimized. And finally, the continuum encompasses recovery and home care, which is both more comfortable and cost-effective. 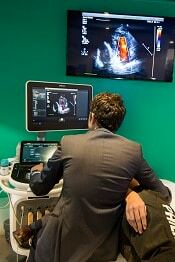 Philips is introducing several next generation diagnostic innovations for the first time in the Middle East. The Ingenia 1.5T S complemented with the patient in-bore solution that creates an immersive experience, allowing the patient to relax through the exam. Alongside Ingenia 1.5T S is the Affiniti, the ultrasound system that provides innovative technology to help radiology/ultrasound departments facing more patients with fewer resources deliver high quality patient care, and IntelliSpace Portal 7.0, combining high quality images, advanced analysis, and a workflow efficiency tool into a single advanced analysis solution. 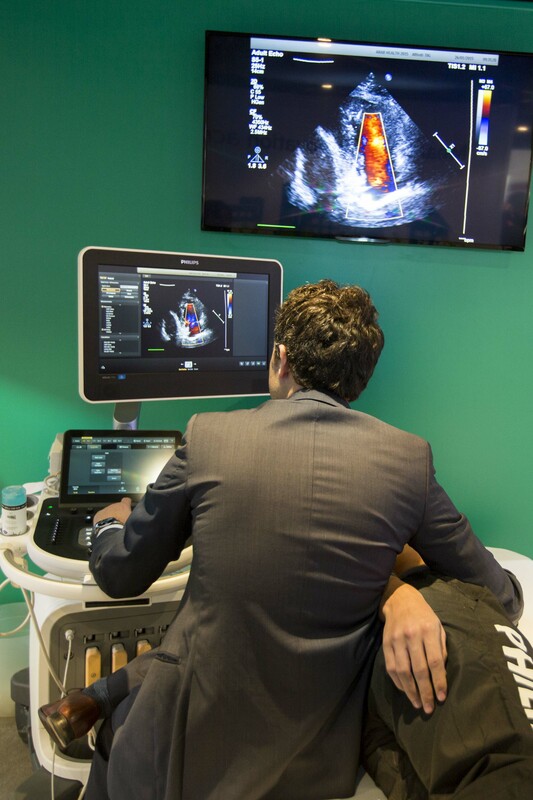 In the area of treatment, the Veradius Unity makes its debut at Arab Health. Designed to improve the workflow and throughput by establishing exceptional communication between the physician, operator and C-arm, the Veradius Unity is an example of how Philips creates new clinical procedures for safe and effective adaptive therapies. Philips&apos; breadth of IntelliSpace PACS solutions offer real-time tools to connect patient information with clinician knowledge, resulting in more personalized care, while innovations for recovery and wellness provide a safer transition from hospital to home. These new innovations further expand Philips’ integrated product portfolio to deliver solutions that clinicians need for confident decision-making and improved patient outcomes. Philips partners with clinicians to drive the clinical performance and economic value of its solutions to find the shortest path to the best care with the most efficient use of resources. 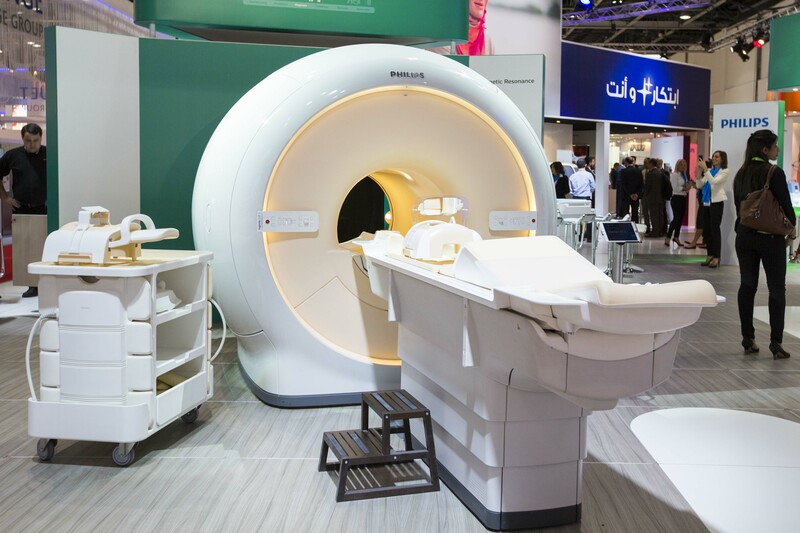 Visit Philips at Arab Health 2015 at Sheikh Saeed Hall 2, Stand S2C10, of the Dubai International Convention & Exhibition Centre from January 26 – 29. For additional material and images of Philips’ portfolio of different solutions and innovations featured at Arab Health 2015,pleasevisit: www.philips.com/arabhealth. And follow the Arab Health conversation @PhilipsHealth.